Marketers are increasingly finding innovative ways to reach customers. One of the newest marketing trends is the use of virtual reality (VR) and augmented reality (AR)–mostly in big-budget marketing. But swifter adoption could be on the horizon. In fact, the VR market alone is expected to reach $101 billion by 2027. And, according to Statista, VR and AR spending across sectors was already in the billions in 2017. With imagination and technology on our side, the future marketing potential is endless. Today, brands are already using AR and VR for innovative marketing campaigns. Let’s take a closer look at the definitions of VR and AR, and some interesting case studies. Augmented reality is a technology that superimposes a computer-generated image on a user’s view of the real world, thus providing a composite view. One example of this is the Pokémon Go app, which allows you view the world through your smartphone camera and superimposes Pokémon characters on it. How Are Brands Using VR and AR? Let’s explore ways that both AR and VR are creeping into marketing agendas and paving the way for all marketers to add some new life into their marketing campaigns. You may have heard about Snapchat’s dancing hot dog that debuted in 2017 and used a form of AR to delight users. According to Snapchat, the hot dog was viewed more than 2 billion times. Snapchat has since announced that it would begin allowing others to create their own form of AR within Snapchat via its ad platform. They call it “3D World Lenses,” and it allows companies to bring characters and products to life inside the Snapchat camera. In 2017, IKEA announced the “IKEA Place” mobile app, which allows iOS users to virtually place furniture in their home before buying. Built on Apple’s new ARKit technology, IKEA Place marks an important milestone in the IKEA digital transformation journey. IKEA is one of the first home furnishing brands in the world to bring this technology to people, shifting the way we purchase furniture in the future. The app automatically scales products – based on room dimensions – with 98% accuracy. The AR technology is so precise that you will be able to see the texture of the fabric, as well as how light and shadows are rendered on your furnishings. Giraffe360 is VR technology that’s designed with the real estate sector in mind. With Giraffe360, real estate professionals can capture virtual tours of a property. The technology promises real estate professionals to achieve higher deal efficiency and decrease property showings down to 70 percent with virtual tours. Marriott came out with a really creative marketing campaign utilizing VR when they setup various teleporters in key locations, which with the help of Oculus Rifts VR technology, allowed hotel customers to travel and experience new locations virtually. The campaign had a huge impact on customers and was reported for years as a key example of companies using VR in their marketing. Many companies have combined AR technology with traditional print ads, but Vespa did something really creative when they allowed you to customize a 3D scooter right before your eyes. That’s not all though, as once you finished creating your scooter, you are able to drive it right off the page and around the room or area you happen to be sitting in. As you can see, even in this early stage of AR and VR technology, many companies are starting to adopt this trend in their marketing efforts. And as is often the case, early adopters are sure to see bigger wins. Although both VR and AR technologies have not come to realization in every day life as quickly as initially predicted, it is still inevitable that these technologies will become a part of every day lives in the near future. Now is time to start thinking about how your company and your products fit in a VR and AR world. If you are involved in marketing today, then you have heard of chatbots, also known as conversational agents. With Hubspot recently reporting that almost half of all consumers would rather connect to a company via live chat than any other means, 40% of those people saying they don’t care if it is a chatbot or human being, and with 35% of people wanting more companies to launch chatbots, it is clear that this new emerging technology is changing the way companies handle marketing and customer service. That said, sometimes it can be hard to envision where and how you would incorporate using chatbots in your marketing plans. Well here are a handful of companies that are using Chatbots effectively, to give you some ideas and inspiration of how you could be using them for your company. Spotify is one of the most popular music apps around and sharing what someone is listening to and getting song recommendations is a big party of the Spotify experience. So it makes sense they would launch a Facebook Messenger Chatbot, which offers playlist recommendations based on factors such as mood, activity, and genres. It might seem pretty straight forward, but Spotify has jumped on an emerging technology, taking their users sharing and recommendation activities, and introduced a function around their app that is bound to increase user satisfaction, app usage, and attract new users. Sometimes simple and easy is all it takes to have success in marketing with emerging technologies like chatbots. Mastercard took an interesting approach, by launching their Masterpass Chatbot technology, which allows other businesses to take payment through their chatbots. Like selling shovels at a gold rush, Mastercard took advantage of a need to receive payments and launched Masterpass onto multiple platforms, such as Facebook Messenger, Skype, Telegram, Slack and more. A large number of companies have partnered with Mastercard using Masterpass Chatbot technology, such as FreshDirect, Blue Nile, Office Depot, Neiman Marcus, The Cheesecake Factory, and Subway, who had one of the largest Facebook Messenger launches in the Restaurant space, launching with more than 26,500 Subway restaurants. By making a technology that allows so many other major companies to find more financial value in their own Chatbot experiences, Mastercard was able to expand its brand and participation in one of the fastest growing emerging technology markets. Now these are some great examples of companies using Chatbots to improve their customers experience in a way that enhances their already existing offerings or services. Here are some examples of companies who have really become creative with Chatbot technology, providing some unique benefits for their customers. As one of the leading mattress companies in America, Casper knows sleep.. and they know that sometime people just cannot fall asleep. Can’t sleep for any reason, then connect with Casper’s Insomniabot to be entertained (and possibly lulled to sleep) with some light hearted conversation until you finally doze off to sleep. Just about everyone goes online at the first site of some illness, injury, or mysterious symptom they want to figure out. Well MedWhat has taken it a step further by providing a robust medical artificial intelligence chatbot to help improve your every day health. So not only does it answer your initial questions and try to determine what problem you might be having, it also continues to improve over time as it learns more about you and the medical industry as a whole. Similar to Mastercard, MedWhat also has launched an API to allow other companies to partner with them to utilize their information and chatbot technology. We mentioned a couple examples of Chatbots in use in this article, but there are thousands of examples out there with more every day. Don’t wait.. start thinking about how your company can utilize this exciting new technology in your marketing plans! *All images used from the mentioned company websites or personal screen captures. So many businesses are on every social channel without understanding if their core audience is there. I see it all the time. So I get why people might fail to pick the right social sites for their business. Spreading the brand too thin, or doing too much poorly. Overcommitting resources to low-ROI channels. Missing opportunities in high-ROI channels. Demographics — does the audience makeup match your target audience? Internal resource alignment — is your staff active on the channel? Business goal alignment — do business objectives match the platform’s purpose? Competitive presence — are competitors active on the channel? Ultimately it comes down to determining your social media ROI on a channel-by-channel basis. You can do this for the social media channels you’re currently using and new channels that you’re considering. Great! … Now how do you evaluate if your audience is using a social media channel? What Social Networks Are Most Popular? Alexa’s website ranking data gives complementary insights that tell a story of how long people spend and how many pages they visit on the most popular websites. In this article, I’ll help you find where your audience is among the top social media sites. Facebook is about family and connecting with people. We share our family photos to keep aunts and uncles in the loop. We join private groups to cultivate communities around similar interests. With 2.2 billion people worldwide, good chance is your audience is on Facebook. But there’s a caveat. When you’re deciding if a social channel is right for you, consider the longevity and future of the channel. Organic reach of Facebook Pages is dead. There’s an opportunity for marketers to reach their audience with Facebook Ads and Facebook Messenger chat. In fact, Facebook Analytics was launched at the f8 Developer’s conference this past May. The platform gives a lot of insight that helps businesses understand how users are interacting with a brand and its advertisements. More on Facebook Analytics below. What are the demographics of Facebook? Use Facebook IQ tool to see audience, advertising, and industry insights. You can slice and dice the audience and people data by region, behaviors, conversations … go crazy. Here are the U.S. demographics of Facebook as viewed in aggregate. How do I find my audience on Facebook? Facebook Ads has a big reputation in the digital marketing industry for its fine-grained audience targeting. You can find your audience on Facebook by running ads targeted by job title, region, behavior and interests. As if to combat any hesitations by businesses in the wake of the latest personal user data harvesting scandal, Facebook launched the business-friendly Facebook Analytics at the f8 developer conference this past May. Is My Audience on Reddit? Reddit is about connecting with like-minded individuals. People share, vote, view and comment on content posted to interest-based, public community groups. The most popular content in any community floats to the top. A business can get ROI on Reddit from traffic and from user feedback and beta users. A link that becomes popular on Reddit can send massive traffic spikes that are great for sales businesses. And visibility in groups that are big on conversation can be a renewable resource for early and late-phase product feedback and getting testers. 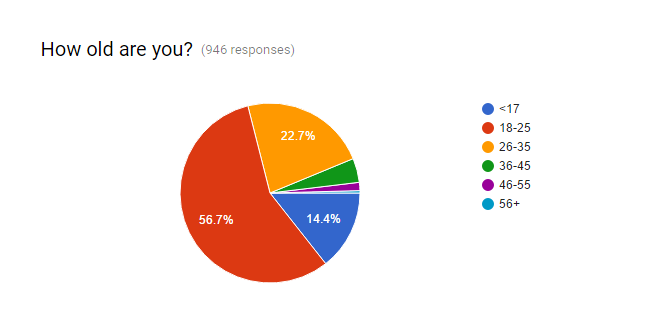 What are the demographics of Reddit? 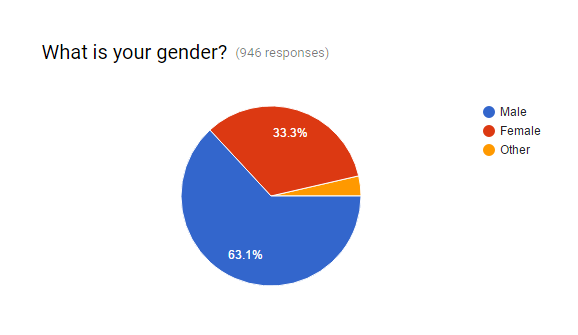 A Reddit-collected survey in 2016 gives us some interesting insights into the employment, age and gender break-down of redditors. How do I find my audience on Reddit? There are a bunch of tools that help you find subreddits, Reddit’s communities. Is My Audience on Instagram? Instagram is about the visual experience of life and being inspired. And Instagram users (800 million monthly) are pretty open to inspiration. What this means for businesses — 80% of Instagram users are following a brand on the image-and-video-centric platform. Instagram isn’t likely to drive much traffic to your website. It’s predominantly a branding channel, with some exceptions for products and shopping. 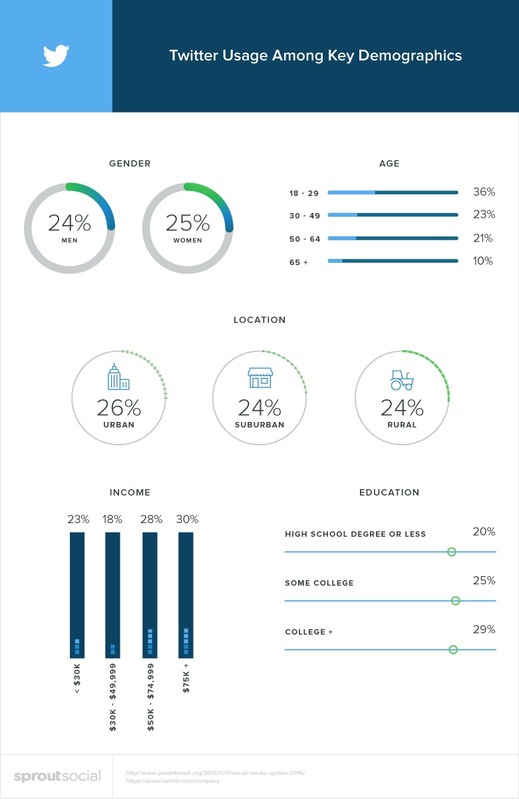 What are the demographics of Instagram? This 2016 data from Pew Internet Research Center evaluates to the percent of online American adults using Instagram. How do I find my audience on Instagram? If you want to get your content in front of Instagram’s 500 million users, Instagram has the same ad targeting system as its sister company, Facebook. You can select your audience from the same demographic and psychographic options in Facebook’s ad system. Just include Instagram as your placement. Community-based curation is coming to Instagram. The Explore area will surface popular content by topic in interest-based channels. Influence your inclusion in channels with hashtags. Remember that branding is the biggest ROI driver in Instagram thing. Instagram gives people the opportunity to see into the everyday life of a person or company. Use Instagram to give your brand a voice and show the people behind the business. Instagram is helpful for making that a reality. Is My Audience on Pinterest? What are the demographics of Pinterest? According to Pinterest for Business, 40% of Pinterest users have an income over $100k a year. How do I find my audience on Pinterest? With a business account on Pinterest, you have access to insights and targeting tools like Pinterest Analytics. Pinterest Analytics offers access to information on your most popular pins and metrics about the people who engage with your business and the other things they like. Is My Audience on LinkedIn? LinkedIn is about networking for business and career. Businesses can use LinkedIn for branding along with talent acquisition. If being connected to the businesses community is important to your business — whether it’s for prospects, partnerships or hiring — join the ranks of 270 million LinkedIn users and 18 million company pages. What is the demographic of LinkedIn? We turn to Pew Research Center’s 2016 report of American adults using the internet for LinkedIn demographics. How do I find my audience on LinkedIn? Say you want to increase your visibility to the right LinkedIn audience. Consider joining any of the 200 million LinkedIn groups. LinkedIn groups might be organized around interest on a topic, sharing a credential, or belonging to the same company or industry. Browse all the groups with the LinkedIn Groups directory. Go to the Discover tab in your Groups page to get LinkedIn’s suggestions for new groups based your existing groups and signals..
For more, check out the help video from LinkedIn on how to find groups. Is My Audience on Twitter? Twitter is about being involved in a conversation as it happens, in real-time. Since Twitter is about behind-the-scenes or everyday conversations, sports players and celebrities have big followings on Twitter. And since Twitter is a high-interaction channel, it’s becoming a top option for customer service online. What is the demographic of Twitter? How do I find my audience on Twitter? Twitter is always working to surface popular hashtags and content. Use the tool Hashtagify.me to uncover hashtags that bring your content greater visibility. Another Twitter tool for user research is Followerwonk. Search the bios of Twitter users so you can find people with like interests to converse with. To figure out where is your audience on social, look at where your competitors are and what their interaction is like there. Then find active communities for your topic. Each social media site and each community within it has fundamental principles for how its users should interact with the site. While you should probably own your business profile on every account, you can be selective about where you put energy. Wherever your business has a presence on social media today, it might be time to evaluate which platform is worth you investment. You’re better off having a low-maintenance social strategy than a confused one.